Flora's Grape Seed Extract Plus provides natural antioxidants and contains Masquelier's authentic OPC Complex grape seed extract. Masquelier OPC Complex sets the highest standard for quality and bioavailability of oligomeric proanthocyanidins. Flora's top quality bilberry extract and cranberry powder complement this full-spectrum blend of bioflavonoids. 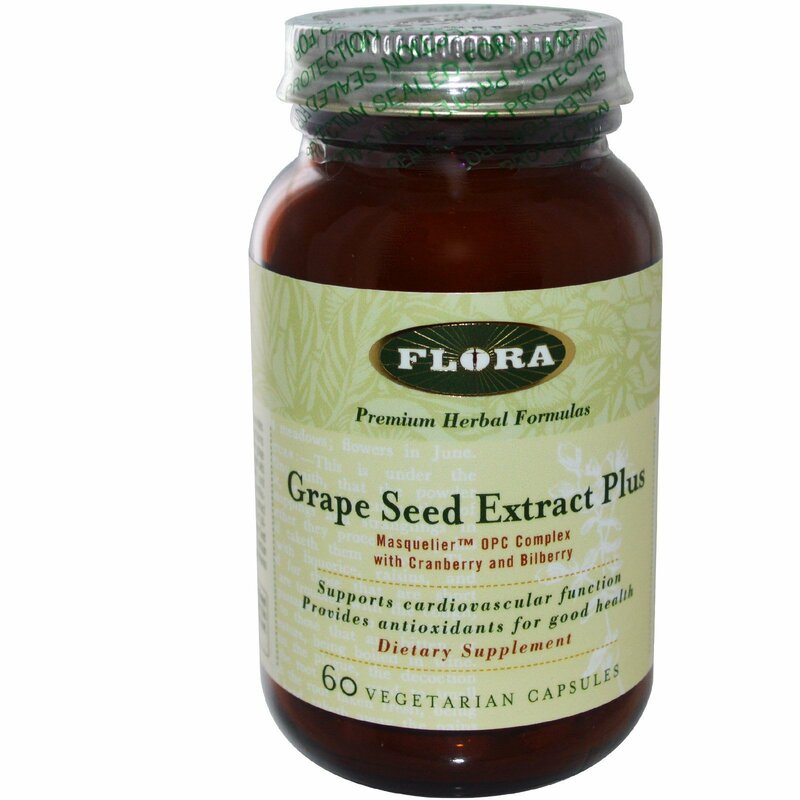 Grape Seed Extract Plus supports cardiovascular function and provides antioxidants for the maintenance of good health. 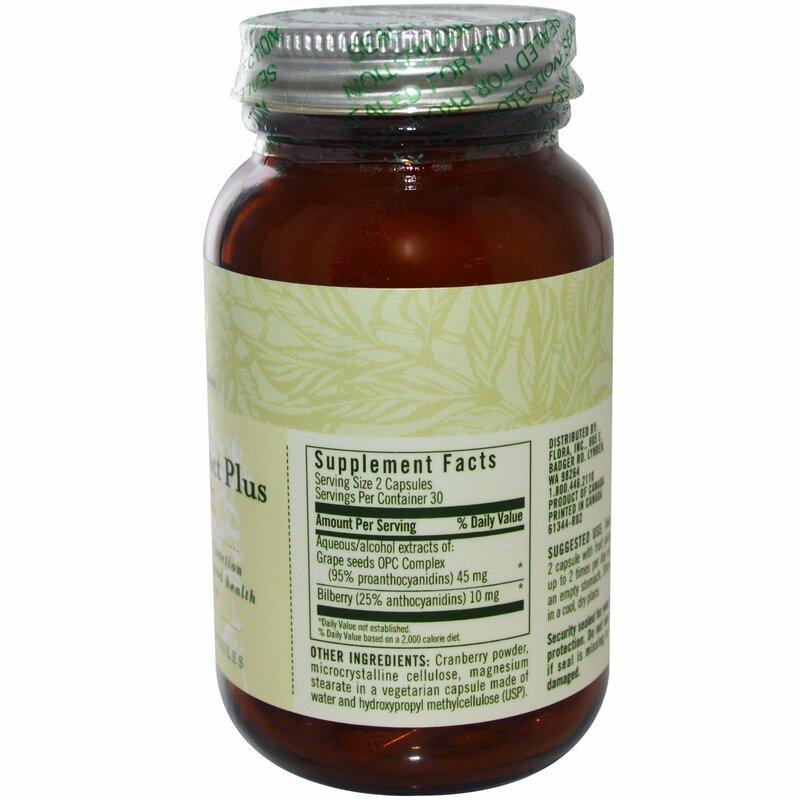 Take 2 capsules with fruit juice up to 2 times per day on an empty stomach. Cranberry powder, microcrystalline cellulose, magnesium stearate in a vegetarian capsule made of water and hydroxypropyl methylcellulose (USP).